If you’re in New Zealand, you might meet a few Kiwis. No, not the bird, or the fruit. But us! 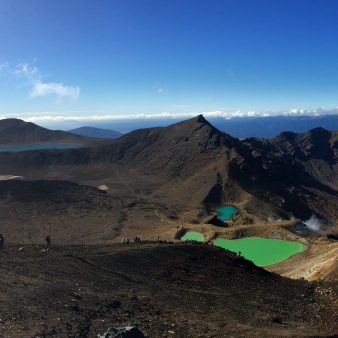 New Zealanders … Kiwis. 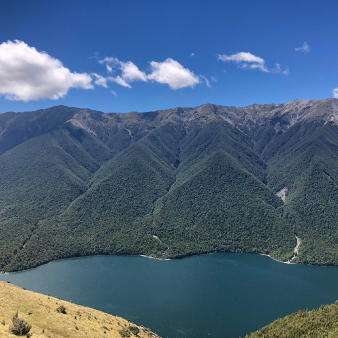 Make your New Zealand experience better by learning how we use language in Kiwi Savvy English lessons. 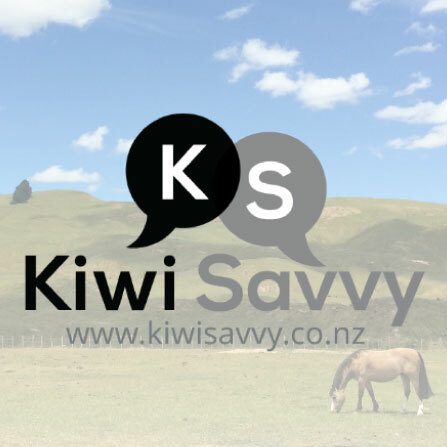 And find out how and why we do the things we do in the Kiwi Savvy blog. 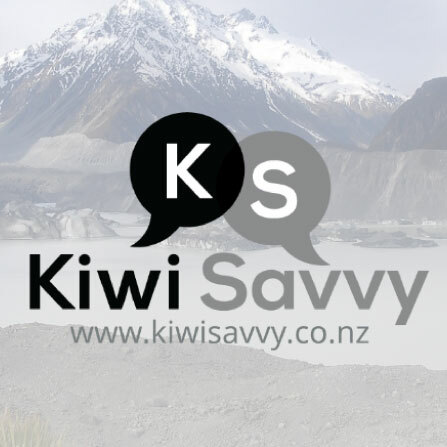 Get savvy, get Kiwi Savvy! Having trouble understanding New Zealand English? Yep, our accent's a bit different, and we use some interesting language at times, that's for sure! 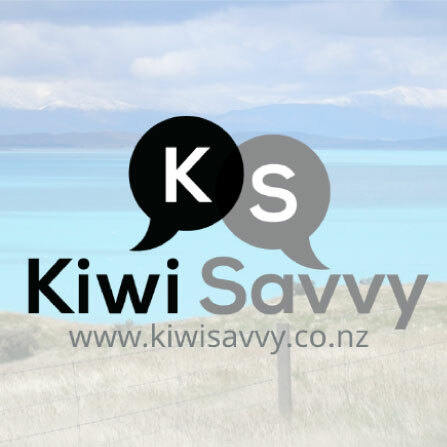 Kiwi Savvy lessons will help you understand what we say and why. 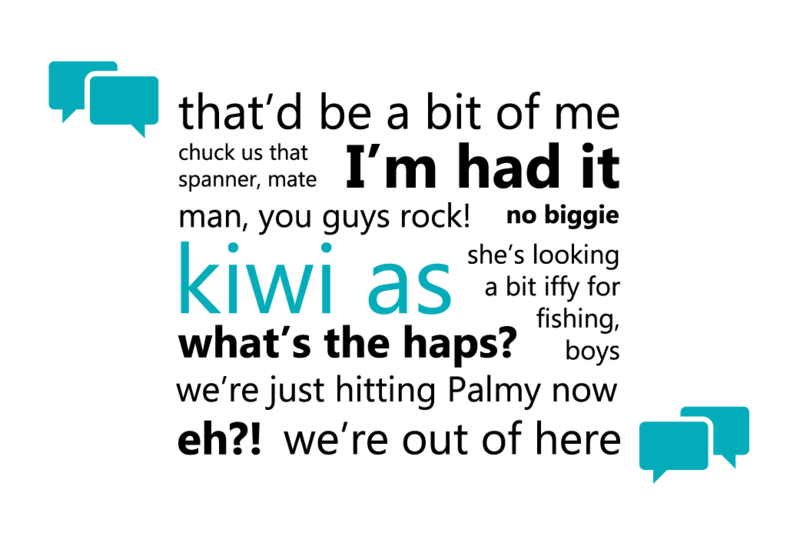 We'll show you the language Kiwis like to use, in a natural New Zealand context. And then show you how to use it too! 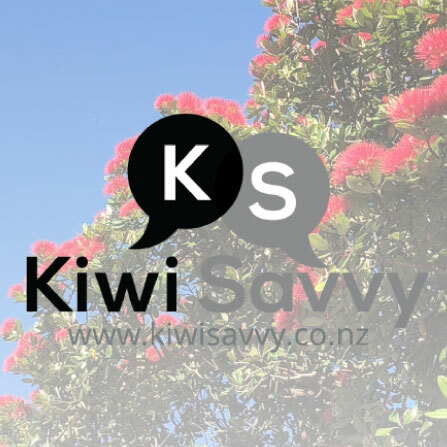 Kiwi Savvy lessons are aimed at the higher-level English language learner, or even native English speaker. 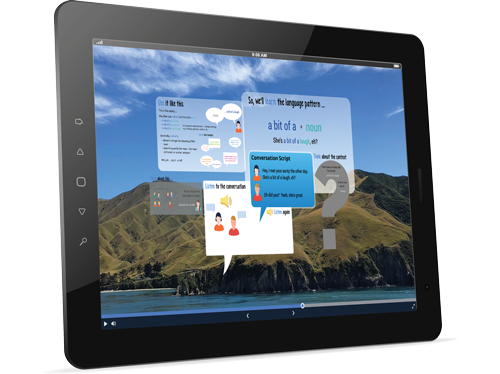 Each lesson focuses on one language expression or pattern that Kiwis like to use. Lessons are short and sweet - we know you'd rather be out there doing things in our beautiful country! Spare time? 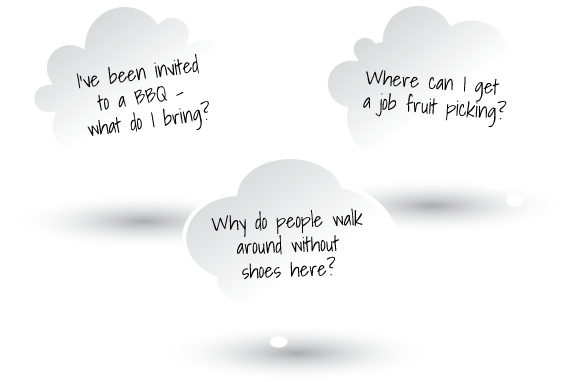 Check out our Lesson Extenders for great ideas on how to get more English language practice from Kiwi Savvy lessons. 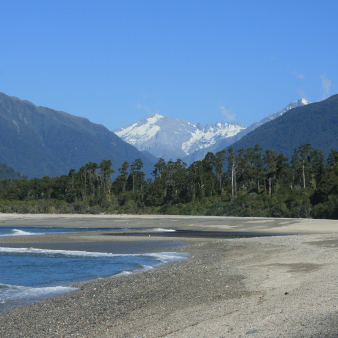 Answer your questions about life in New Zealand in our Kiwi Savvy Blog! 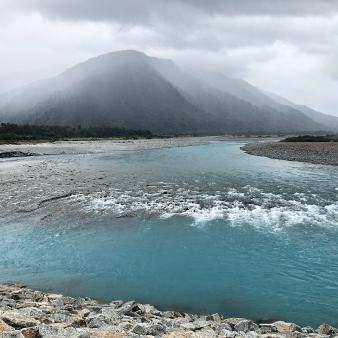 Whether you're working on a farm, living in the city, or travelling the backroads, our Kiwi Savvy Blog will give you handy tips to make your time in New Zealand more enjoyable. Free Lessons - try one! We've got it! Continue learning with us on Facebook and Instagram. We're Kiwis who know New Zealand well! We're sharing our knowledge, tips, and tricks to make it easier for you to live, work, or travel here. Feel free to email us - questions, comments, or chat!